Book review: Jean Desmet’s Dream Factory: The Adventurous Years of Film (1907-1916) | Silents, Please! 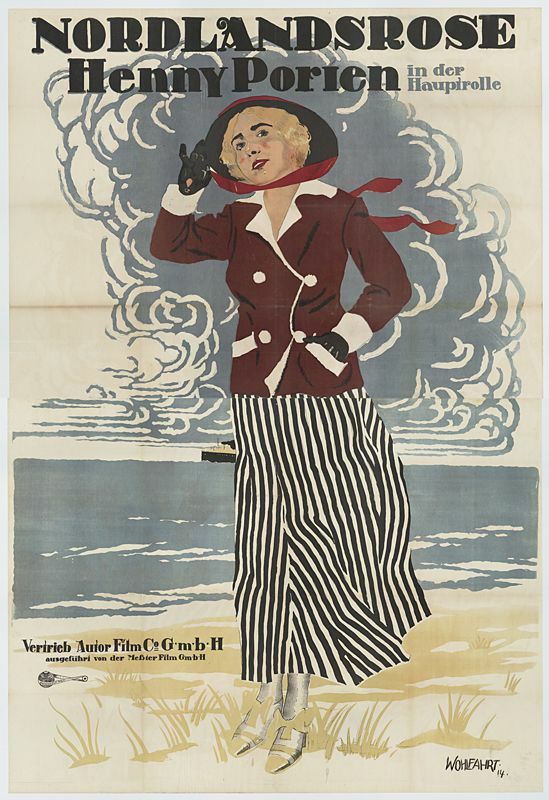 The Desmet collection is a key jewel in the crown of EYE Filmmuseum: a huge and relatively intact corpus of films, posters, promotional materials, and company records deriving from the business activities of Jean Desmet, a key film distributor and theatre owner in the Netherlands who operated in the 1900s and 1910s. The collection is famous among those interested in early cinema, and EYE rightly point out that it is important not just for the films it contains, but also because of its overall cultural and sociohistorical value: “The uniqueness of the collection is largely situated in the cohesion between the aesthetic and non-aesthetic parts.” In 2011, the Desmet collection’s cultural value was recognized formally when it was inscribed on UNESCO’s Memory of the World Register. Exhibition photographs © Harrie Nijland 2015; reproduced with kind permission. A few months ago, I mentioned EYE’s current exhibition on the collection, regretting that I could not attend it. Now, however, the exhibition has come to me! Or its attendant publication, anyway: the book Jean Desmet’s Dream Factory: The Adventurous Years of Film (1907-1916), published by EYE and nai010 publishers. It’s a beautiful book that is informative as well as being visually lush. The publication comprises eight essays, several ‘visual essays’ (essentially, thematically organized image galleries), a timeline, and a full listing of the Desmet films and posters held by EYE. The image of early cinema as a carnival, a breeding ground for experimentation and innovation, may be more relevant than ever. What makes these films so interesting to us is the fact that, in their own way, the reflect on the specificity of the medium; they express a visual culture that can enrich our own. The second essay, The Desmet Collection: A Perspective from Abroad by David Robinson, gives a good overview of the collection’s international significance, noting that the only collection approaching its scope is the Joye collection of films accumulated by the Jesuit priest Abbé Josef Joye. (The Joye collection is mostly preserved at the BFI, with some titles held by Italy’s AIRSC). Robinson describes the important role the Desmet collection films have played in film festivals, particularly the Giornate del Cinema Muto, and mentions the themed Desmet programmes that have played there in recent years: Oh! Mother-in-Law (2012), Suffering Men (2013), and Driven! The Desmet Automobile Show (2014), all of which were excellent. L’Amazzone mascherata (IT 1914); a still of this shot is reproduced in the book. In his second essay, The Wondrous Images of Silent Film, Mark-Paul Meyer describes several salient characteristics of this period of film. Almost all of the Desmet films featured some form of colour, and indeed, the Desmet films were the first films to be preserved in colour; prior to this, the convention (and, it must be mentioned, financial ability) of film archives had been to copy material onto black-and-white film. Meyer points out that while many instances of colouring were symbolic (e.g., blue for night, red for fire, etc), sometimes colouring was completely arbitrary: “its sole purpose was then to make cinematic images even more spectacular”. This is a good point to make, when so many sources uncritically repeat the ‘colouring was symbolic’ idea. I liked the section on intertitles, which notes their peculiarities as well as their functions. 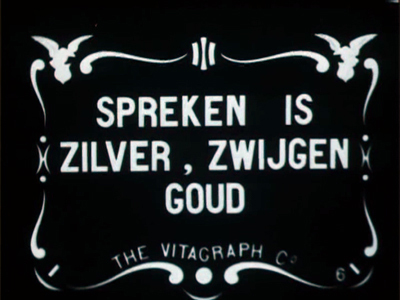 Meyer doesn’t outright say so, but the intertitles of the Desmet films are somewhat notorious for their linguistic oddities due to poor translation into Dutch. He also discusses the content of the films: one theme that he identifies is grouped under the heading ‘Spirits, Dreams, Memories and Visions’. Meyer links the Desmet films to their wider visual culture, which was a time marked by “fascination with making the invisible visible”, led by technological advances such as X-rays and macro-photography, and seen in trends such as spirit photography. Connected to these ideas was the frequent depiction of the camera lens as the eye, and use of vignetting and masking within films. Emotions are expressed in outbursts of physical display, grandiose sweeps of the arm and long-sustained melodramatic poses. They sing arias with their bodies and when they die, they draw it out almost as long as in an opera – drama queens in overdrive. (Side note: several stills from Rapsodia Satanica – including this scene – are published in the book. Rapsodia Satanica is actually not part of the Desmet collection, though a copy is held by EYE). In Jean Desmet and the Transition Years, Rommy Albers and Leanne van Schijndel outline the development of Desmet’s business: travelling cinema to permanent cinema to cinema empire. One of the most interesting parts of this essay to me was the discussion of how Desmet formed his film programmes; the authors note that his film programmes were characterized by a varied, contrastive approach. Dramas and tragedies were always followed up by something more light or humourous, and Desmet generally took care not to programme films by the same studio consecutively; when this did occur, he would always choose films of very different character to each other, in order to satisfy his customers’ need for variety and novelty. I was also intrigued to read that the long film (c. 40min) was placed in the middle of a programme, rather than at the end. Closing out the essay texts is Jean Desmet’s Time Capsule: From Company Archive to Cultural Heritage, by Elif Rongen-Kaynakçi and Soeluh van den Berg. This text describes the archival life of the Desmet corpus, the accession of which actually occurred over a number of years: while the films were acquired by the Nederlands Filmmuseum in 1957, the core collection of company records were not transferred until 1970. Rongen-Kaynakçi and van den Berg describe how the Filmmuseum had a policy of repatriation in the 1970s and 80s, and some of the Desmet films were returned back to institutions in their country of origin at that time. 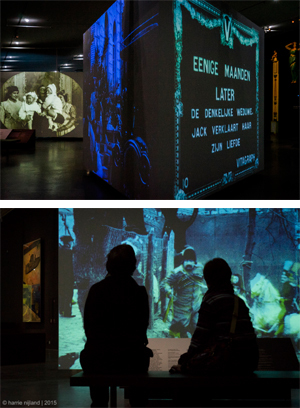 The expectation was that the receiving institutions would preserve the films and return a screening print to the NFM, but this rarely eventuated; when the Filmmuseum tried to get back the films in the 1990s, 50% were no longer extant, due to deterioration. (Admittedly, some of these films were repatriated because they required urgent intervention). However, most of the original nitrates are in good condition: Rongen-Kaynakçi and van den Berg note that in 50 years, only 3% of the collection has had to be destroyed due to deterioration. At present day, almost all of the Desmet collection has been preserved onto polyester film stock. Apart from the films themselves, the poster collection (one can hardly believe the conservation directives of the 1960s, which instructed those caring for poster collections to use adhesive tape all over the backs of posters! 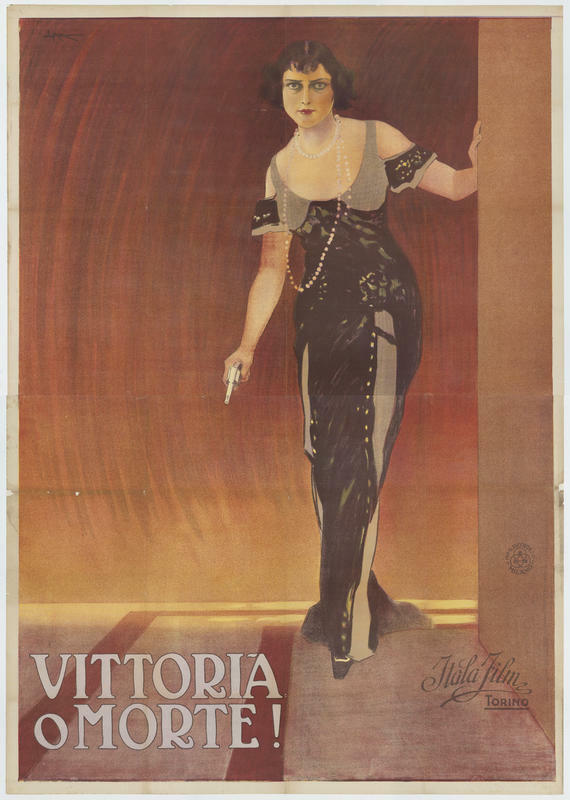 ), and the corporate archives, there was also the art deco interior of Desmet’s Cinema Parisien. I fondly remember it from its installation in the Filmmuseum’s old location in the Vondelpark; it is now residing at the Filmhallen, and one of the theatres at EYE’s new cinémathèque on the north bank of the IJ mimics its aesthetics. One thing I was looking out for were mentions of Asta Nielsen – although the Desmet collection contains more than one of her films (two I know about are Die Verräterin | The Traitoress, 1911 and Im Lebenswirbel | Vortex of Life, 1916), I didn’t spot a single image of her in the book. Albers and van Schijndel note that another film distributor, Johan Gildemeijer, had the exclusive right to show Asta’s PAGU films in the Netherlands, which explains why few of her films are found within the Desmet collection. (Neither of the aforementioned films were produced by PAGU). 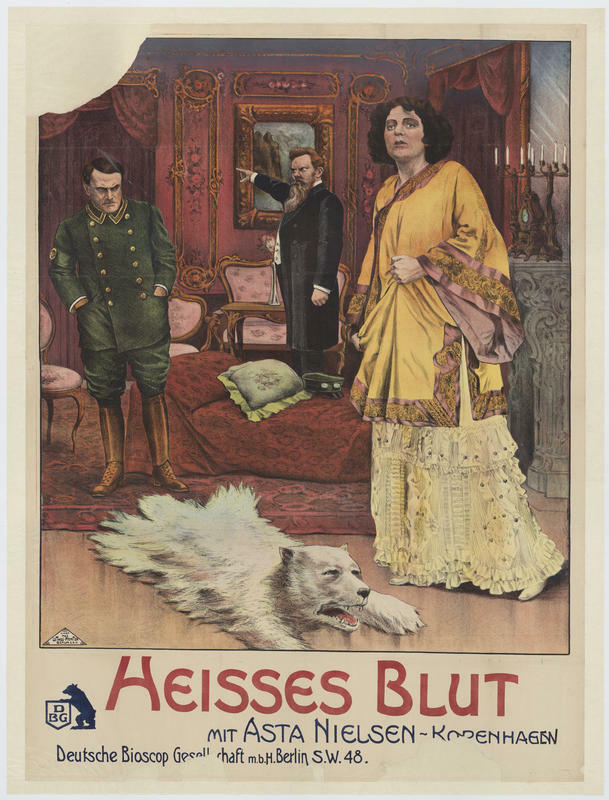 Also, in Ivo Blom’s excellent article on the Desmet poster collection, he notes that while actresses like Borelli, Bertini, Jacobini, etc were always represented in good likeness in the posters, verisimilitude appears to have been less important for German films; he cites Nielsen’s depiction on the poster for Heisses Blut (1911) as an example of this. Although the poster isn’t printed in the book, a look at the digitized version more than confirms Blom’s judgement in the matter. It’s a wonderful book! I can’t find much at all to criticize. There are things I’d love to read more about, but really, further depth and detail is probably outside the scope of this publication. (And indeed, the editors provide a bibliography). It’s an engaging book that will be appreciated by fans and scholars of early cinema and the layperson alike. I’ve covered several films from the Desmet collection before on Silents, Please, and there will be more featured in future. Jean Desmet’s Dream Factory: The Adventurous Years of Film (1907-1916), edited by Marente Bloemheuvel, Jaap Guldemond, and Mark-Paul Meyer. Rotterdam, the Netherlands: EYE Filmmuseum/nai010 publishers, 2014. Available to purchase here. This entry was posted in Books and tagged books, cinema of the Netherlands, Desmet collection, diva films, EYE Filmmuseum, film history, film preservation. Bookmark the permalink.